Singapore at Keppel shipyard in 2014. 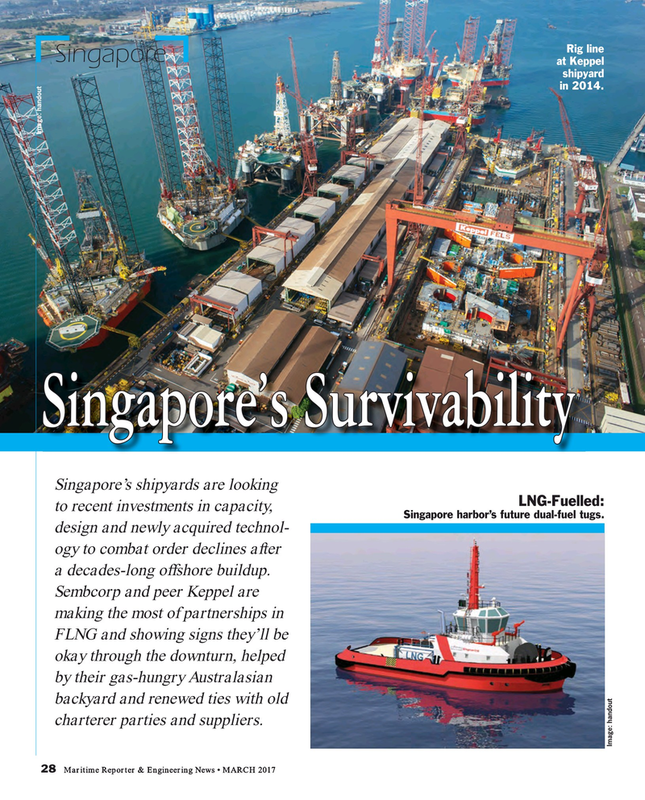 Singapore harbor’s future dual-fuel tugs. design and newly acquired technol- ogy to combat order declines after a decades-long offshore buildup. FLNG and showing signs they’ll be okay through the downturn, helped by their gas-hungry Australasian backyard and renewed ties with old charterer parties and suppliers.